Florida Active Retirement Communities Like No Other – Vienna Square! 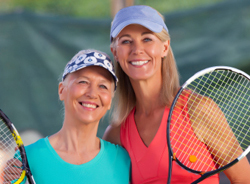 We want to welcome you to the best in Florida active retirement communities. Whether you are looking for a permanent home or a seasonal home, we have a community where you will feel right at home. Our Vienna Square community provides a secure and fun-filled retirement community to give you peace of mind. We strive to offer the best features and amenities so you can enjoy your active adult lifestyle with minimal work possible. We have an on-site clubhouse with 7,000 square feet of fun! It houses a movie theater, tennis court, a swimming pool, a ballroom and more for today’s active adult lifestyle. We also have a schedule of fun events planned all year long to participate in. It is a place to make new friends or get reacquainted with old friends and visiting guests. 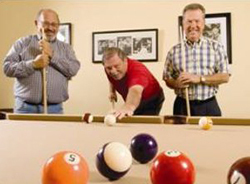 We make living in Florida active retirement communities affordable and fun. Central Florida is home to warmth and sunshine, making retiring in the area appealing. We offer something for everyone whether you want to live near a peaceful lake or play bridge with your neighbors. We want you to be happy and comfortable in a community with neighbors just like you. We are located in Winter Haven, Florida. It is a central location for Florida active retirement communities. We are close to many attractions and things to do. You can visit neighboring cities or tour a historic landmark nearby area. We are strategically located with quick and easy access to I-4, I-75, and the Florida Turnpike. Visit Disney World or Universal Studios with your grandchildren, visit the beach or go to a sporting event. 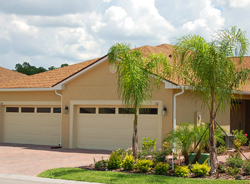 Vienna Square is ideal for retirees who are interested in Florida active retirement communities. With many activities in and around the community to enjoy, it is no wonder why we are considered one of the best retirement communities in the area. We offer fun events such as a Kentucky Derby Party, ladies coffee and men’s lunch, dinner and a movie night and tournaments and game nights for everyone. There is also an outdoor pool and spa and many outdoor activities you can enjoy. One of the greatest things about Vienna Square is that you own your home. You are not renting the land or your home. Our prices are affordable and reasonable. We have created affordable luxury! Our homes and villas feature garages, walk-in closets, great rooms, elegant dining areas and more. There are even additional features you can choose to truly make it your own. Other Florida retirement communities may not offer the option of customization or sometimes even owning your own home. Contact us today to schedule a showing of our fine community. 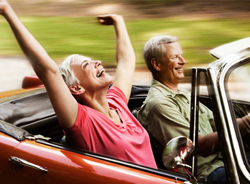 We have reinvented retirement to include fun, freedom and friends. Retirement does not have to be boring when you live Florida active retirement communities like Vienna Square.